Description: Every night, Peter Pan and Tinkerbell listen to the stories told in the Darling household. One day, circumstances turn to Peter showing the Darling children his homeworld Neverland where he intends to make the oldest, Wendy, the new mother of the lost boys. 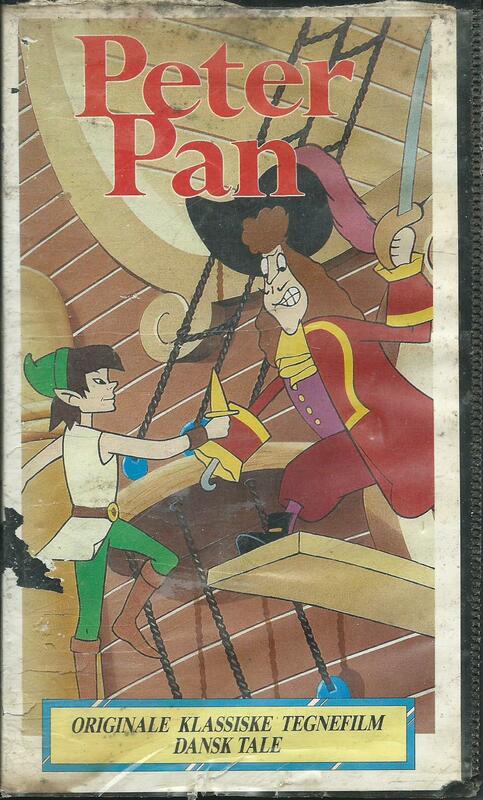 This is a very different take on the tale of Peter Pan. Peter in this version is endlessly egotistical, Tinkerbell is downright cruel and for some reason Captain Hook is kind of obnoxious. The voice actors has also chosen to, for whatever reason, make weird sounds for the characters whenever there isn't any scripted lines. This results in the characters, the pirates especially, making a lot of weird grunts. The character model also comes off almost constantly, making them sort of fluid. This happens a lot to especially Hook (who looks nothing like this cover by the way). Is the movie any good? Well if you don't like Disney it provides you with an alternative. It at least sticks very much to the story, but don't take it for anything more than what it is. That is, if you can actually track this version down. I do have some compliments, while the characters are very much off model the glowing effects on Tinkerbell is very well done. To the point of it being hard to see the actual outlines on the characters. But she definitely glows. The backgrounds are pretty well colored. It's actually a pretty beautiful movie if you remove all the characters. But that kinda removes the point of it being a movie, does it not?